Cut-out butterfly bracelet on Etsy – Go ask Alisa – DIY capsule wardrobe one stitch at a time! Find this bracelet on Etsy. With all other things in our life it is hard to get hold of everything that we have. But step by step I am updating our Etsy store. 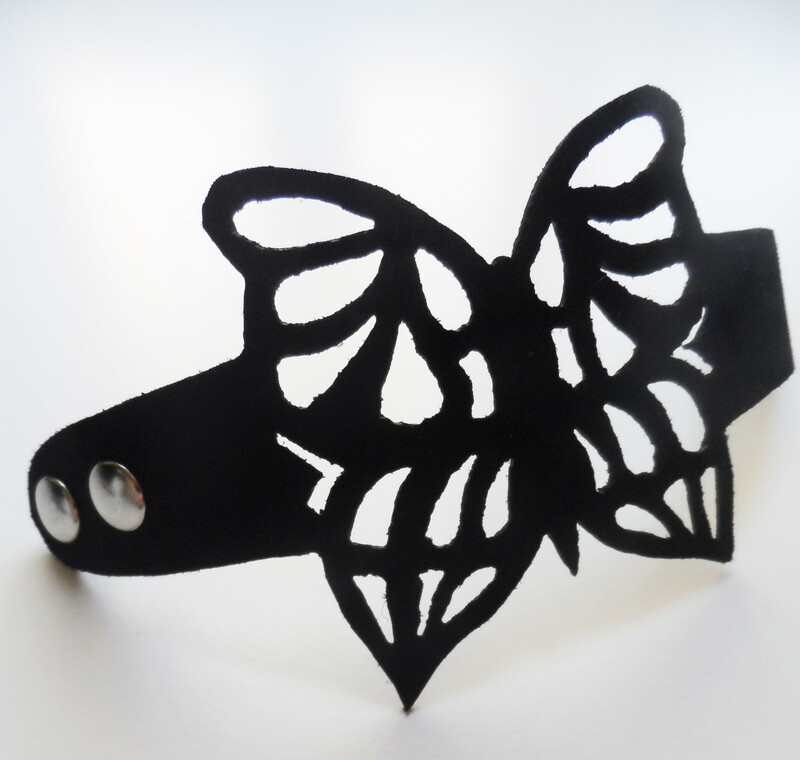 So, we have a newcomer – this amazing butterfly cut-out bracelet made out of genuine suede! This amazing cut out cuff bracelet was made by Jared. It is a gorgeous accessory, suitable for any occasion. 100% handmade out of genuine black suede and metal fastening buttons. It is an elegant gothic bracelet, as well as Renaissance costume addition and every day accessory. Unique and amazing! It features two button closure so you can adjust the size of the bracelet. Easy to wear, durable and great looking!